Egerton Lodge, Melton Mowbray, Leics. 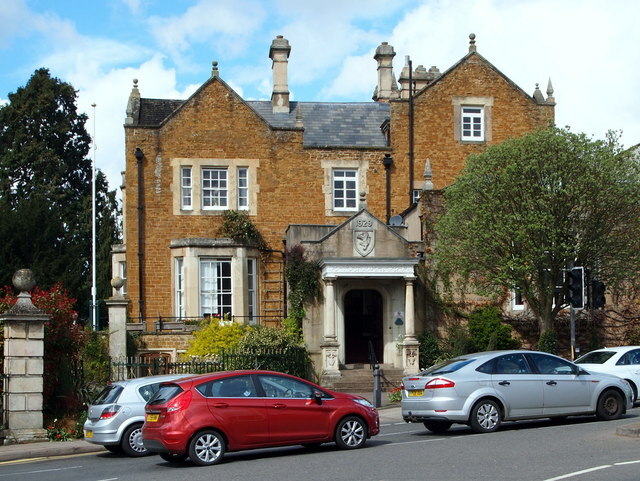 Egerton Lodge, a private retirement home on Wilton Road, a.k.a. the A607, is seen here from the western end of High Street. It was built in 1829, on the site of a previous house, as a hunting lodge for Thomas Egerton (1799-1882), the 2nd Earl of Wilton. It has also previously seen service as the offices of the Urban District Council. It is Grade II-listed. To the left of the main entrance, and behind the iron railings, is an entrance to the Egerton Lodge Memorial Gardens and public access to the northern bank of the River Eye.